A group of young people is not necessarily a gang. Teens often find safety in numbers through staying with a particular group of friends, and usually like to avoid trouble. Knowing what a gang is and how it is classified can be useful for parents who are worried about their child. has been arrested in the company of identified gang members for offences consistent with gang activity. 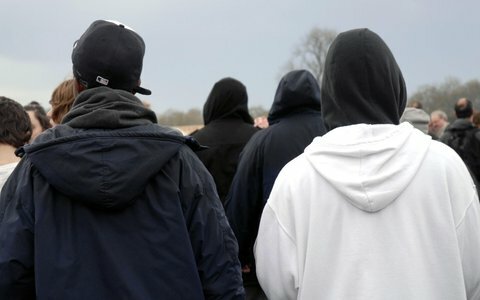 While the definition of a gang is quite vague, one important thing to note is that membership or association with a particular group of people is not illegal in itself – however, gangs are often linked to criminal activity, so it can be useful to recognise certain types of behaviour and signs that your teen may be involved in gang-related crime. We have listed some of the more common signs below. Suspicions that your son or daughter is involved in a criminal gang are not necessarily proof, so it’s important to proceed with an open mind. Talk to your teen openly – ask them questions and listen to what they have to say without making direct accusations. Media reports about gang culture and the increased use of guns and knives by young people may have many parents worrying that their child is at risk of being involved in gang culture. However, a quick look at the real statistics shows that reports in the media may be exaggerated. While gang and knife crime is a genuine problem, contributing to the death of almost four teenagers a day in London, it’s only a small minority of young people that are involved. For example, in Lambeth, South London, while there are approximately 23,000 young people aged 10-17, and in the year 2007-8 only 2.6% of them were involved in any kind of crime. Gang membership isn’t illegal but, once involved, members are more likely to commit robbery, assault or drug offences and to carry or use knives and guns. Gang members may take risks with their physical safety and sexual health and are far more likely to become victims of crime and risk serious injury or even death. It’s not only boys who join gangs. Young women can be involved as gang members or associates and they are particularly vulnerable to becoming involved in risky sexual behaviour. If your child carries a gun or knife, they could be arrested; this could lead to going to court, going to prison and will result in a criminal record. Having a criminal record can prevent them from getting a job, going to university or college and even travelling abroad. A criminal record will affect the rest of their life. It is illegal to carry a knife if there is intent to use it as a weapon, even if it belongs to someone else. The sentence for possessing a knife in a public place without a good reason has been increased from 2 to 4 years. It is illegal to buy a knife if you are under 18. It is illegal to keep any prohibited firearm, or to carry any firearm – including an imitation – in public, even if you are carrying it for someone else. The sentence for unlawful possession of a prohibited firearm is 3 years for 16 – 17 year olds and 5 years for adults. It is illegal to hold any offensive weapon including a taser or CS gas or ammunition. Police can and will search someone if they are believed to be carrying a gun, knife or any other weapon. Police and school staff can also search young people at school. If offenders operate in a group or gangs, this is considered an aggravating factor and may lead to a longer sentence. What can parents do to keep their children safe from gangs? As a parent you can help protect your son or daughter by understanding the issues, recognising the signs and getting further help and support if you need it. You can tackle the issue of gangs positively by setting a good example - you are their first and most important role model. If you deal with conflict without the use of anger or violence, it's more likely your child will too. Set clear boundaries around what is acceptable behaviour and what is not, emphasising the difference between earning something and taking it from others. Talk to your child without judgement. Remember that they are growing up in a different time from you, facing unique challenges. Discuss their hopes and aspirations as well as their fears and worries. Praise them for their achievements and make sure they know you are always there for them. Find a way to talk about gangs directly. If it helps, use reports in the news, or storylines on television programmes as a starting point. Your son or daughter may know more than you think and will have opinions. Family Lives is always here to support you through difficult times. All our trained support workers are parents so we do understand the stresses and strains of family life. You can contact us on 0808 800 2222.